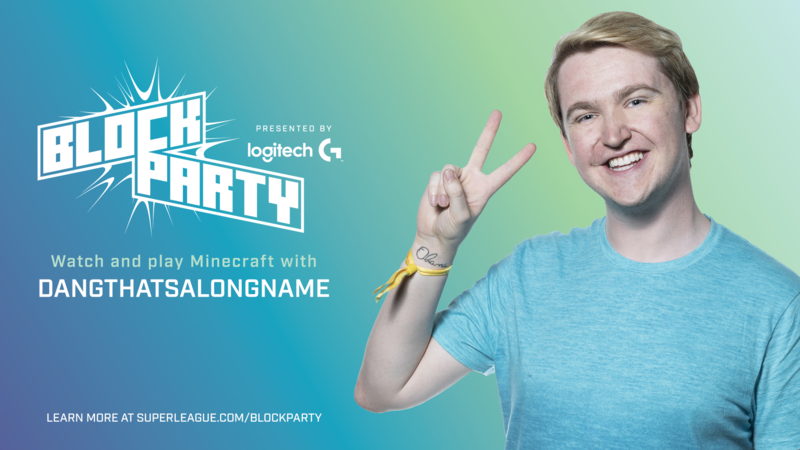 Block Party is Super League’s content and event series, presented by Logitech G. Over the course of a few weeks, Minecraft fans will be able to follow a creator as they build a custom Minecraft server on Minehut. When it’s all done, players will be able to join in on the fun as the server opens up to the public for gameplay. Then do it all over again with a new guest! We had a great time playing capture the flag on a castle-themed server with Shubble at the last Block Party! This time around, we have a new host all the way from the UK! 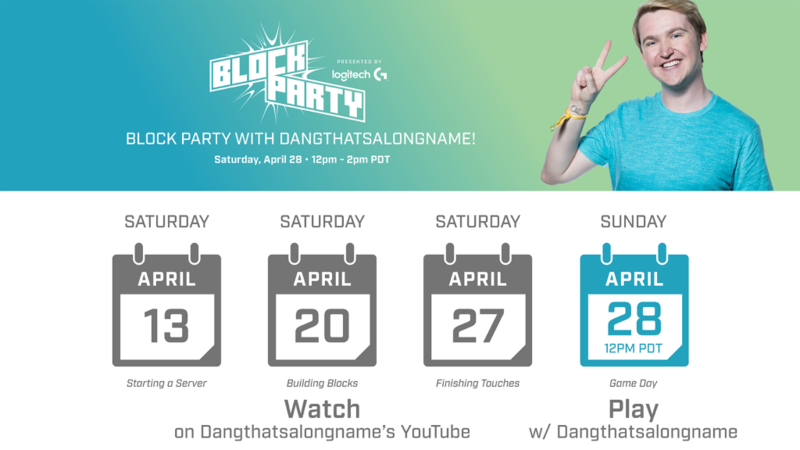 For our second Block Party, Scott Major, more commonly known as Dangthatsalongname in the Minecraft community, will be collaborating with Super League for the very FIRST time. We’re super excited to have a new friend to build with and can’t wait to see what kind of server we’ll get to create together. Ready to join the Block Party? 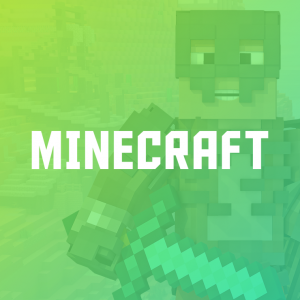 Learn more and sign up to get updates on all our upcoming Minecraft events, or start creating your own server right now on Minehut! Follow us on Facebook, Twitter, and Instagram for updates on all our upcoming events!